Make the criteria for the CEO job specific and up-to-date. Link it to the company’s central idea and its competitive landscape, not just to personal traits such as integrity and personal gravitas. Include team building, execution excellence and ability to work with the board. Include in the CEO’s evaluation an assessment of how well the company is building a succession plan for the next generation of company leaders. Companies should have a coherent system in place to evaluate and compensate the CEO’s succession performance. Assign the board leader or head of the governance committee to work with the CEO to make succession planning part of the company’s management development processes. That will help ensure succession is not an event-driven crisis. Retain a high-performing chief executive, but also work to keep capable successors. Make sure you incent CEOs-in-waiting sufficiently to keep them on if a well-performing chief executive still has ample energy in the battery. Seek candid comparative data on inside CEO candidates from those who have worked with all of them. Make direct contact with both sources and candidates and drill deep to verify information—even when engaging third parties to vet. Review outside consultants carefully to prevent conflicts of interest. Make sure you’re getting an unbiased view of the candidates. Maintain confidentiality. Many a stellar CEO candidate has dropped out of consideration when his or her identity is inadvertently revealed. Embed succession-planning in corporate culture. 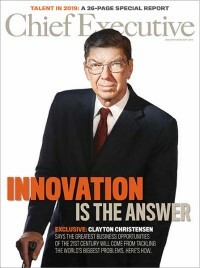 Creating a culture of executive succession entails many steps, including performance incentives for executives to build the system, a development capability that repeatedly reaches large numbers of managers, coaching and mentoring by both directors and executives, and an openness to both inside and outside candidates. Above all, it requires an active partnering between the directors and the chief executive to ensure that their pipeline is full and its occupants are developing in the upward direction.